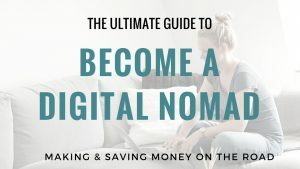 Vanlife in Spain is great, but the weather is not always amazing in February and March! But thankfully, after heading down from Barcelona in February 2018, the weather started to get significantly better around the Valencia area. Still, after we spent a few weeks on the coast, we were so tired of all the pensionados and touristic villages. Even though there are plenty of things to do in Murcia, Elche and Cartagena, we needed a nature fix. 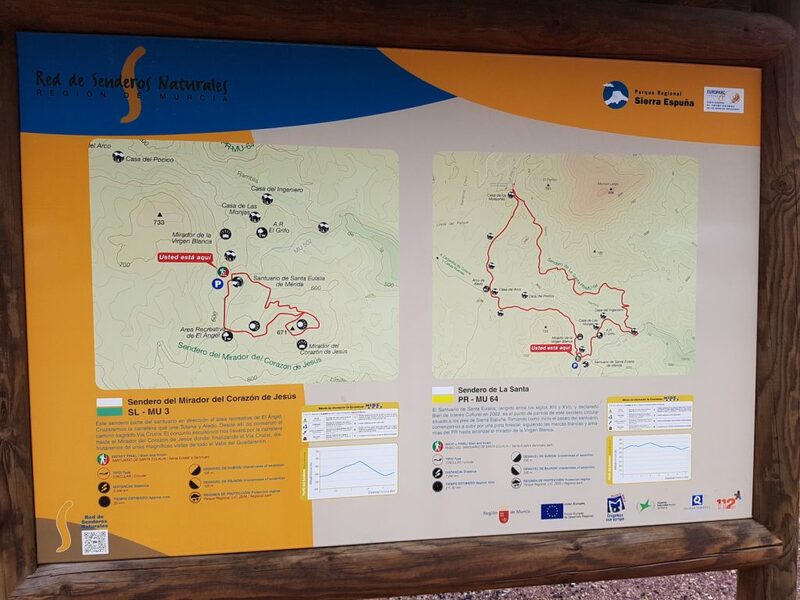 So, we decided to head more inland to get a break from the madness 🙂 As we both love hiking, we looked up a national park in the area and we found the Sierra Espuna Regional park in the Lonely Planet of Spain! The region of Murcia is located in the southeast of Spain, between Andalusia and the Valencian Community. If you are getting to this region, you will probably be driving or flying into Murcia. While it is a beautiful and warm destination, with lots of attractions, it’s also a relatively unknown destination even within Spain. Good news, as there won’t be that many tourists around! The touristic information is quite good and the tourist office has an extensive website. 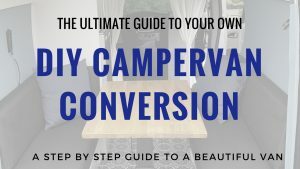 There are some fairly famous seaside resorts that you generally avoid as a vanlifer 🙂 But the region also offers plenty of cultural and foodie events. Or if you fancy, there are also many museums, festivals and castles to explore. Murcia and Cartagena, the two major cities in the area, offer plenty in the way of history. Also, it’s a joy to drive around as the entire Murcia area. It’s stunning because it’s a major producer of the country’s fruits, vegetables and flowers. If you are interested in Roman History then you will find plenty of ruins and monuments throughout the region. Particularly in Cartagena there is so much to see! And you also have the Castle of Jumilla that could be worth a visit. If you are interested in sights and activities to do with Christianity then the city of Murcia is home to a famous cathedral. In addition, the Holy Week processions in Cartagena and Lorca have been declared of international tourist interest. The Carnival activities in Águila are also considered to be some of the most important and colourful in Spain! When you are done with all the history, culture and other things to do in Murcia, there is still nature! There are a lot of national parks and protected spaces such as the Salinas y Arenales de San Pedro del Pinatar (a salt marsh by the Mar Menor) and the volcanic islands of Mar Menor and many others. Mar Menor (Europe’s biggest saltwater lagoon) offers adrenaline junkies plenty of choices for exciting things to do; such as sailing, diving, canoeing, swimming, water-skiing, jet-skiing, flysurfing, windsurfing and paddle-surfing. 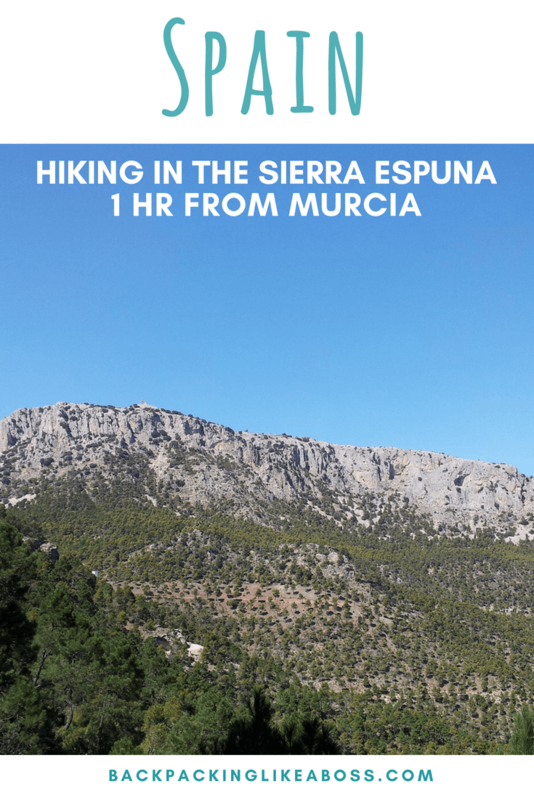 But for us the highlight amongst things to do in the Murcia region was the Sierra Espuna. 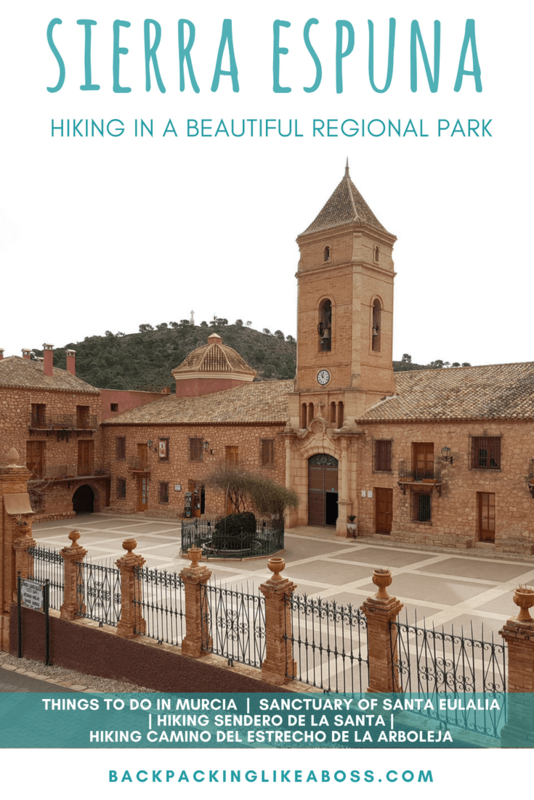 So if you are looking for more off the beaten path things to do in Murcia and around, this is it! One of the most lush and verdant areas in the Southeast of Spain is the Sierra Espuña National Park, Murcia’s largest forested area. It is about 25.000 hectares big and there is lots to explore! 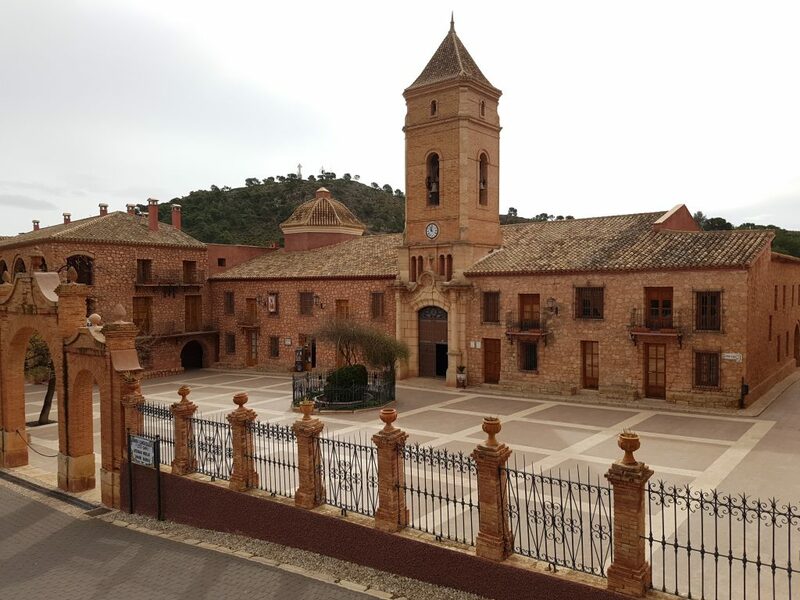 It’s an easy drive from anywhere in the province and its nearness to Lorca is super useful to stock up on petrol and groceries. Local people flock to this beautiful area on a bit of altitude to escape the heat in summer. We were visiting early March, and there was hardly anyone there! Both beautiful and historic, the Sierra Espuña was once the scene of many clashes between the Christians and Moors. It is also an area known for its pottery production. It is actually one of Spain’s most important regions for this traditional handicraft. Also, it was the first natural space in the Murcia region to be protected and is filled with contrasts. 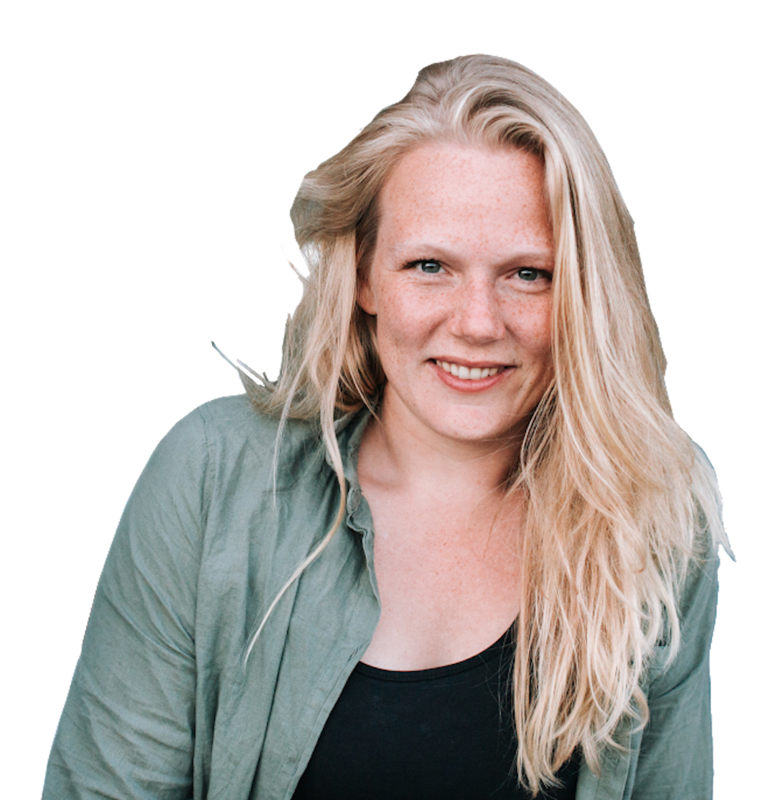 From mountains, steppes and rivers to irrigated agricultural areas and huge solar parks. The national park area is home to almost a thousand different plant species, and around 185 different animals and birds including the Espuña squirrel, golden eagles and peregrine falcons. 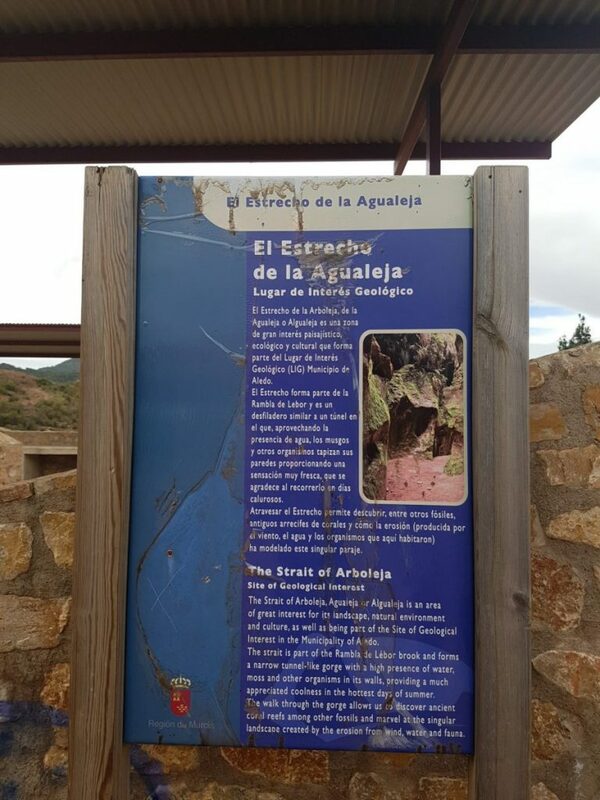 There are opportunities for rock-climbing and paragliding in the Sierra Espuña, as well as some very unique spots to explore such as the snow wells from the 16th century and the Santa Eulalia Monastery. Much more about this awesome regional park you can find here. 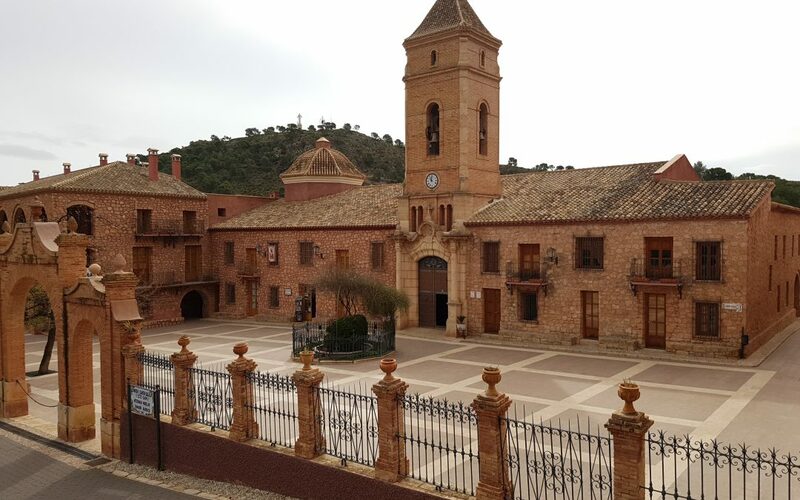 The sanctuary of Santa Eulalia de Merida is located seven kilometres from the town of Totana, within the Sierra Espuña national park. 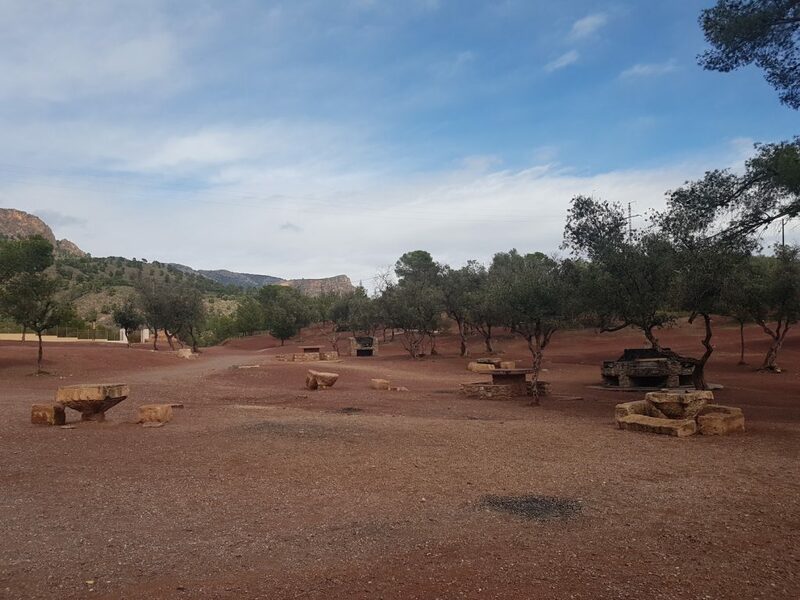 Sanctuaries such as this are usually located close to the town centre, but one can access La Santa (as it is known by locals) by a lovely walk through the surrounding pine forests, vegetable gardens and orchards. Alternatively, you could drive all the way if you have a car. There are also taxi services in the town of Totana and buses. But you will need to check with the tourist office of Murcia for more specific information on getting a bus to the sanctuary. The sanctuary was founded as a place of pilgrimage by the Knights of the Order of Santiago in the 13th century. It was founded in honour of Santa Eulalia de Mérida (Saint Eulalia), hence the name 😉 . Eulalia was a devout Christian virgin who was martyred by the Romans by being tortured with hooks and burnt at the stake. Apparently, as she died a dove flew out of her mouth and a miraculous snow covered her naked body; leading her to be known as the patron saint of snow days. The sanctuary was so pretty! It has a beautiful driveway leading up to the main building and amazing gardens around it. Inside the shrine, you can marvel at the Baroque altarpiece. Also, the Mudejar coffered ceiling and 48 frescoes depicting stories of the Virgin Mary, Jesus Christ and the Franciscans are stunning. The shrine itself was built in 1574 using alms of the faithful and is free to visit. Make sure you also take the short walk to the Virgin Blanca lookout for stunning views over the area. The first night we arrived in the Sierra Espuña it was dark already. By accident, we passed by the Sanctuary and it looked so beautiful with the lights! We didn’t drive all the way to the back of the building, so we didn’t notice the super large parking there is behind the sanctuary! We drove one more hour to find a space to sleep at one of the Areas Recreativos. You can find a couple of these park-like areas all over the Sierra Espuna. Whole families come here to have Barbecues, chill out, play and do sightseeing. The first night we spent at the Area del Estrecho de la Arboleja, where we had the below described hike. It was a fine place to stay with some trees. There was also a water tap which was great to fill up our water supplies. 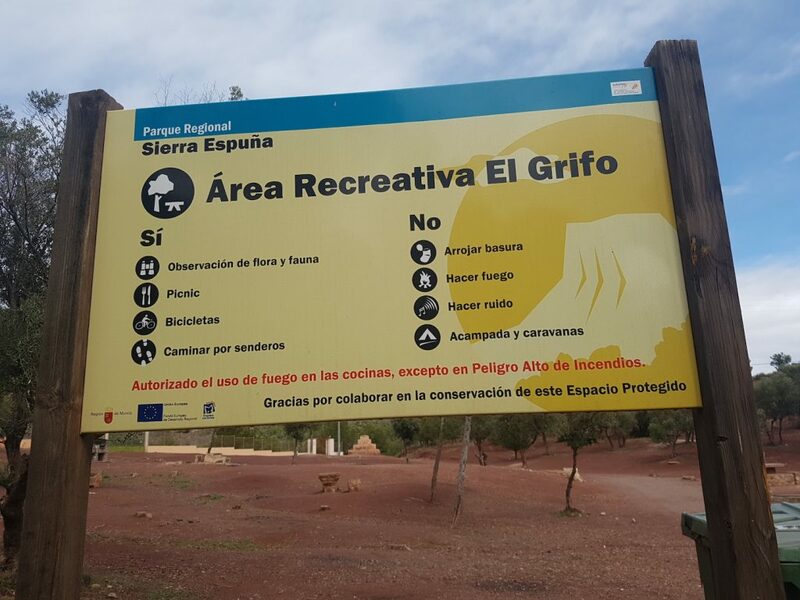 In general, it is not allowed to stay overnight in the Area Recreativos. So I can not recommend this, but it seems to be tolerated in low season. The next day, we found out via our Park4Night app that there was actually a perfect sleeping spot next to the Sanctuary. So we went back and spent a very peaceful night there. From the sanctuary, we made another hike (see below section on hiking). Apart from exploring the region and the park by car, we came to get our nature fix 😉 Because it was quite hard to find information about hiking routes online we just explored the park until we stumbled upon the hikes 🙂 Once we were on the tracks, we actually found a lot of signs pointing to other tracks. You can probably get more information by the tourist centre – which you can find in the last section. We noticed this hike when we spent the night at the area recreativo. We had arrived there in the dark and were kind of desperate for a place to stay. But it turned out to be a beautiful area! We walked down the Estrecho which was a stunning gorge. The stone walls were very impressive and you could immediately feel the temperature drop. It was very humid and had lots of vegetation. We walked around for a couple of minutes in the actual gorge before we started the walk. 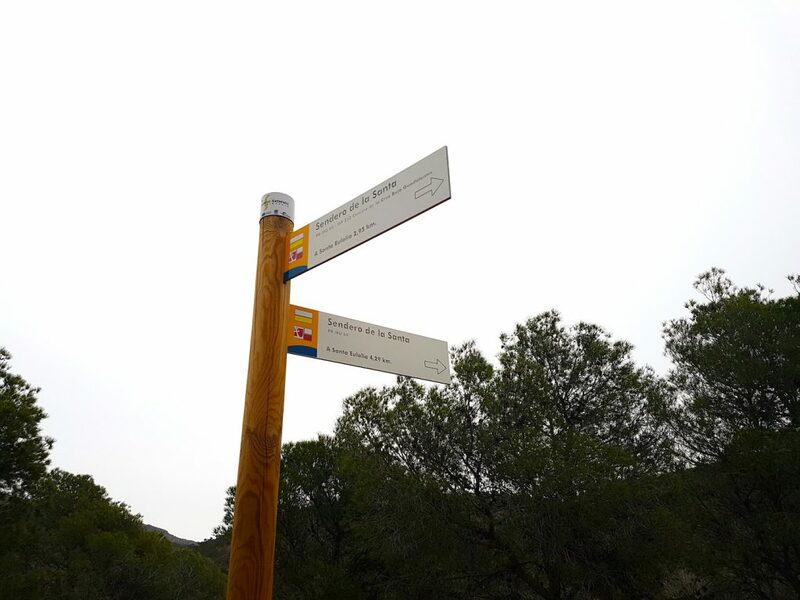 The night that we stayed at the Santa Eulalia Sanctuary, we came across the sign for these two hikes. We took the longer hike which was supposed to be around 2,5 hours. 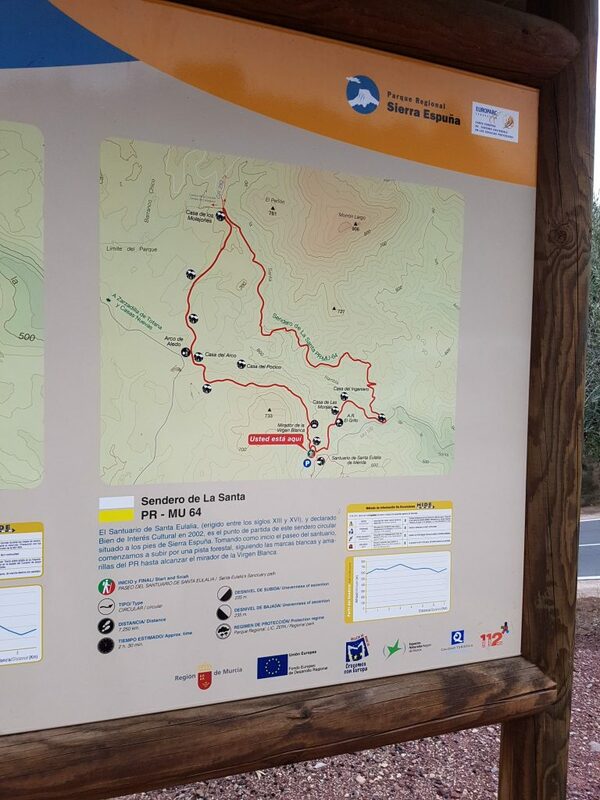 And, we were pleasantly surprised by the signposting for this hike and the route itself! We walked through beautiful pine forests and came along some stunning viewpoints. 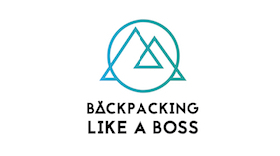 Although the hiking in this region doesn’t beat the Trolltunga hike in Norway or the route along the Calanques near Marseille, it was a great way to explore the area. 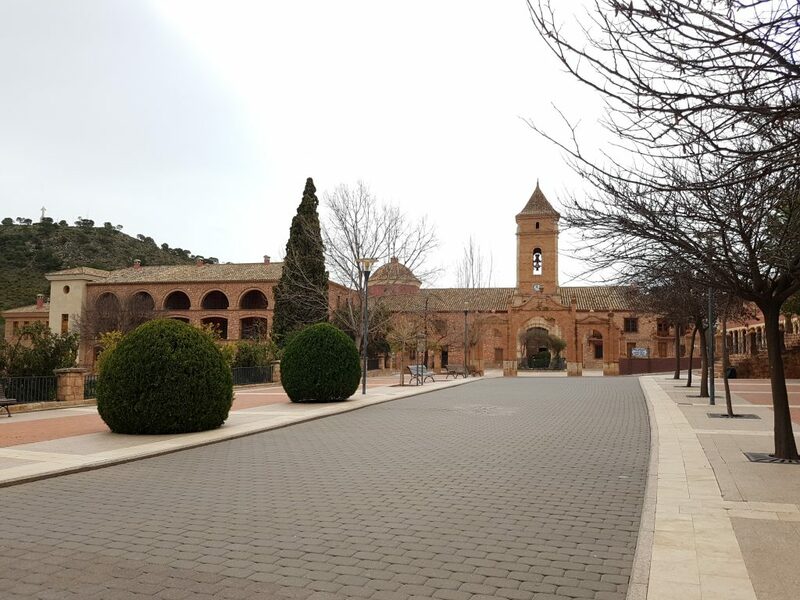 Most things to do in Murcia are within the city or close by, but if you are thinking of heading off the beaten path, you will need a car to make life easy. You can get to the Murcia region via aeroplane, train, bus, boat or car. The airport is located in Murcia (the city) and there are train stations all around. You can find them in Águilas, Cartagena, Feve, Cieza, Lorca, Murcia, San Javier, Torre-Pacheco and Totana. Once you are in the Murcia region you can travel with public transport such as train, bus or taxi and find more detailed information here. Irrespective of history, culture, it is amazing to know that there is room for wilderness and nature there in Murcia. 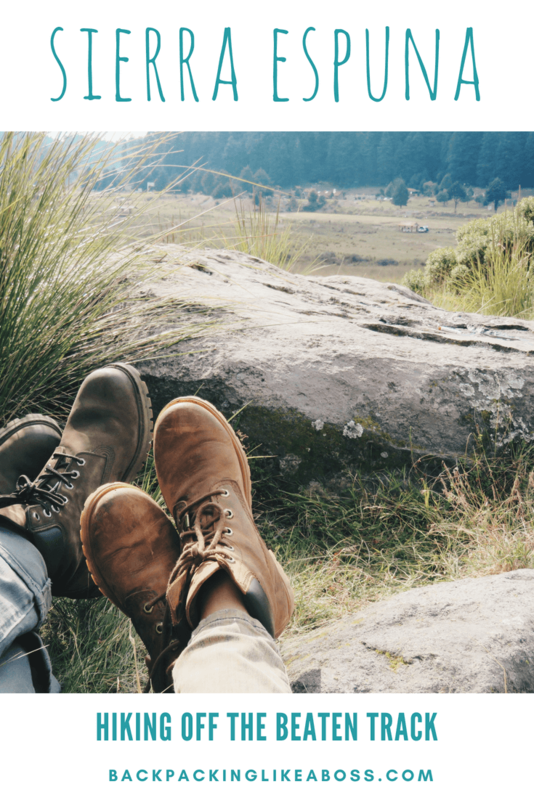 Hiking is a considered to be a great activity to relieve our stress and strain. 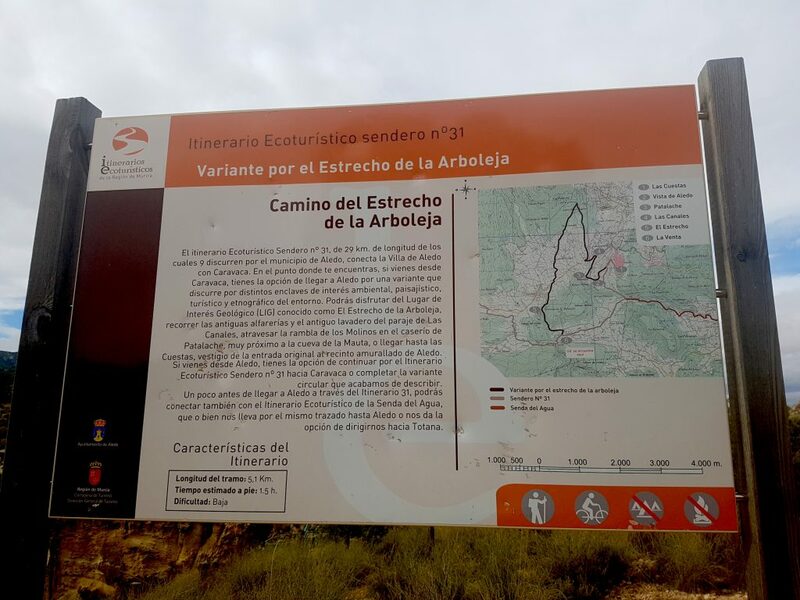 Thanks for sharing your hiking experience in Sierra Espuna Regional. Hi Ashley! Indeed it’s hard to imagine this is so close to Murcia 🙂 ! Looks like Murcia Spain is one the best place to discover.. We’re planning to bike tour in Spain and Portugal next Year maybe we’ll check this place out. Thanks for sharing..